Pregnant women usually give people a feeling of soft maternal brilliance. 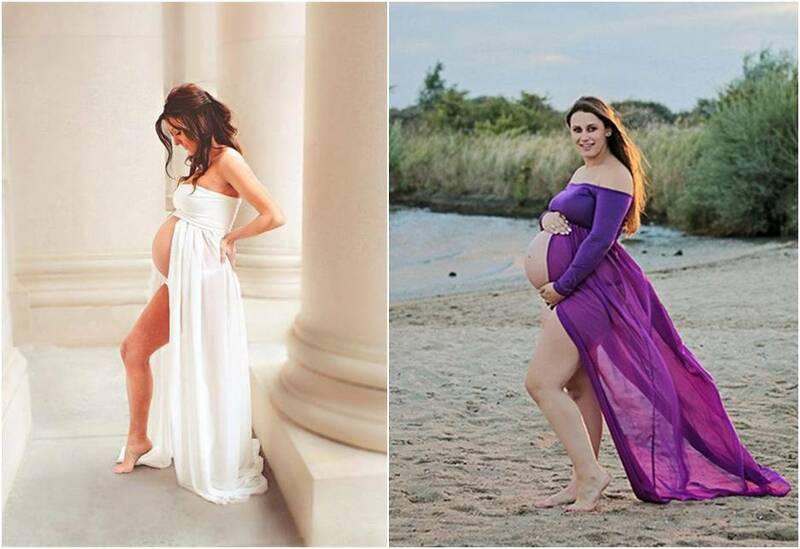 If you are willing to bare and show your babybum, a yarn slit dress can help you make some glamorous memorial photos. I think it’s wonderful to record a lovely life in the belly! If you think the gauze dresses are too common for a maternity photography, then how about the BOHO style? The slim fit also can emphasize your babybum, the full length with fishtail design can make you look taller and more elegant. Think of the two above are not versatile enough? This one maybe can meet your requirements, the length and design are both perfect for photography and daily parties. You don’t need to worry about being overdress or too casual. 上一篇： An important item to every mommy! 下一篇： Shape Perfect Body in Seconds!